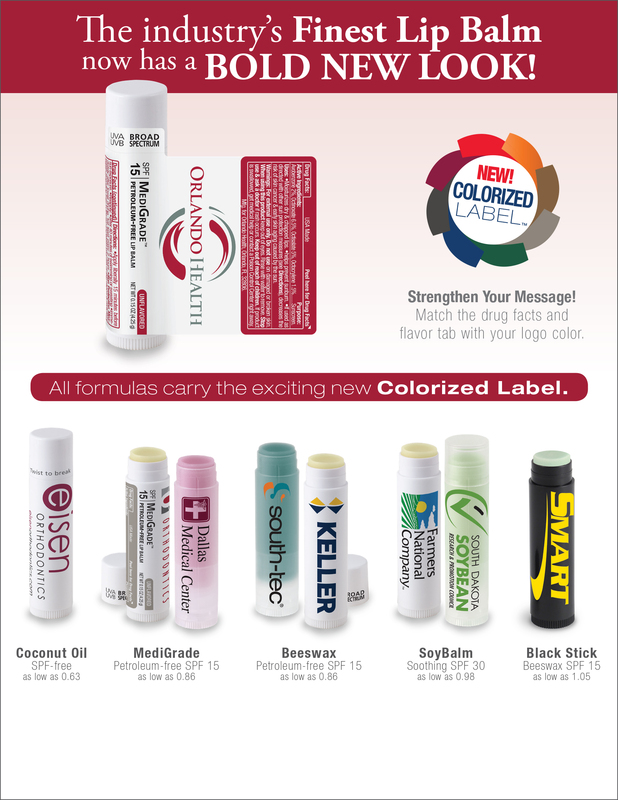 SoyBalm™ Soothing Lip Balm gently revives lips with nourishing soy, plus rich shea butter, beeswax, and vitamin E. SPF 30 provides lips with extra protection. Available in clear or white stick. Contains 4.25 grams. 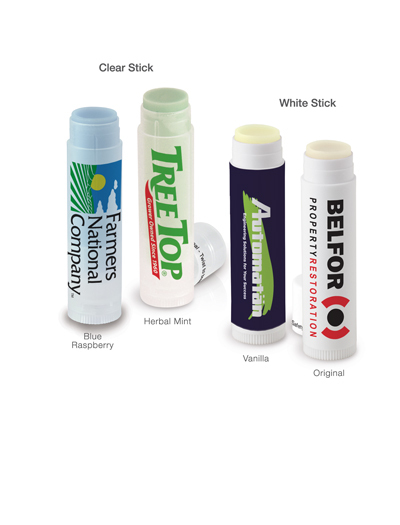 Clear Stick Flavors: Blue Raspberry, Herbal Mint. 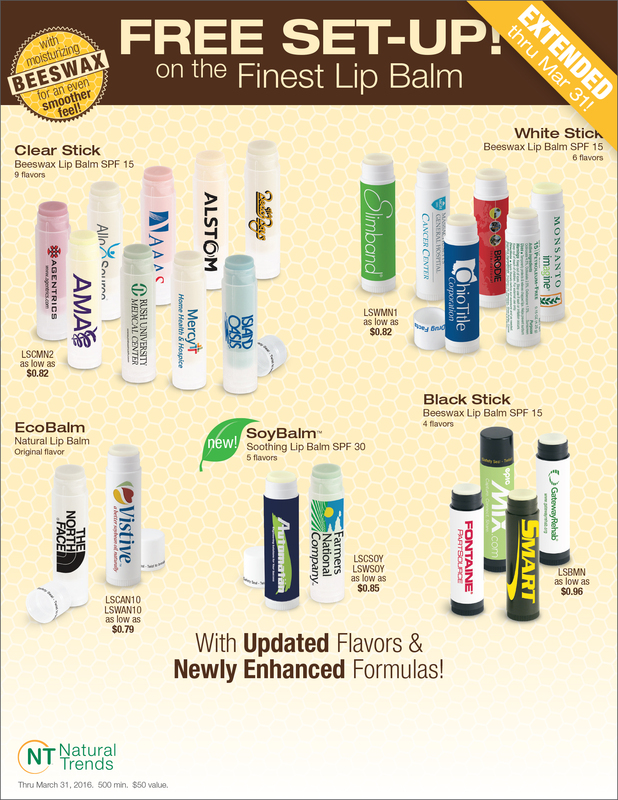 White Stick Stick Flavors: Original, Vanilla. 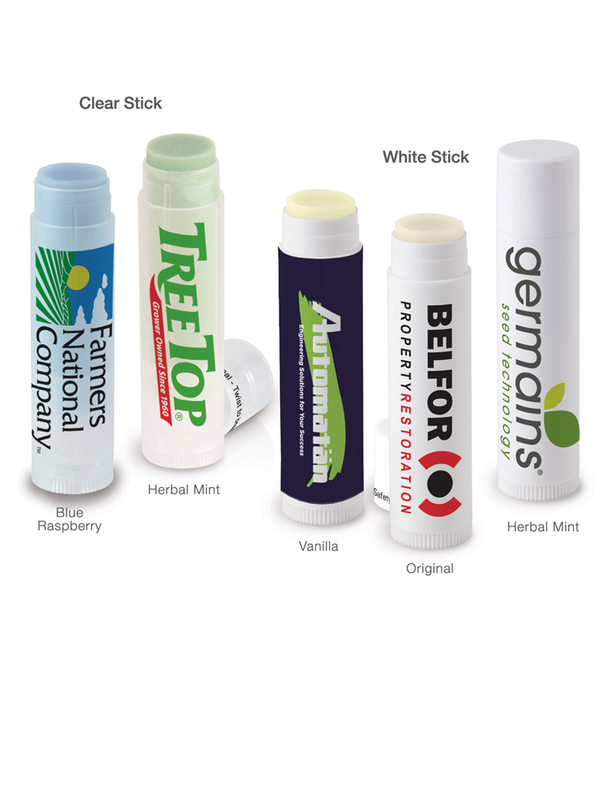 Clear Stick: Blue Raspberry, Herbal Mint. 1050 units/24 lbs per box. Box size: 18 x 12 x 8 inches.